We’re here to help you, whether your visit is to improve your smile, a dental emergency or simply maintenance. We offer a wide range of both NHS and private treatments for the entire family. We’re proud to welcome new patients all year round and accept both fee paying patients and patients that are exempt from NHS charges. All patients will be provided with a personalised treatment plan which explains exactly what is being done and any fee, before any treatment is carried out. We listen and discuss any of your concerns with you and give you all of the options available, so you can make an informed decision about your treatment. All patients can expect to be treated with respect and dignity when in our care. We have a team of dentists and dental professionals, which gives you the freedom to choose who you would like to provide your treatment. 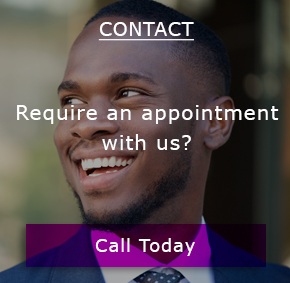 We have a wide range of appointments available to suit your needs. We understand getting the time to visit us can be difficult, so we have adapted our opening hours to give you the most convenient options. We are open for appointments during morning, afternoon and evenings and also weekends by appointment only. If you need an emergency appointment outside of our hours there are 24 hour emergency clinics available in the local area. Our team is always on hand to help, whether it be in the practice or on the telephone. They will endeavour to help you to arrange appointments to suit you or provide you with advice. As well as English our team also speak other languages. We offer very competitive rates for our private/cosmetic treatments, such as teeth whitening, veneers and cosmetic cleaning. We endeavour to always use the highest quality materials and the latest equipment and technology to ensure we provide you with quality services. At Smile dental centre we follow all the latest guidelines on clinical excellence and patient safety. We insist upon a high level of cross infection control to ensure you are in the safest possible environment for your treatment. Our team are caring, trustworthy and committed to offering our patients outstanding care. We have a number of Dentists, Hygienists and dental care professionals in our clinical team, which all adhere to the rules governing the profession, under the strict guidance from the General Dental Council (GDC) “standards for dental professionals. We are a member of the British Dental Association and have been awarded "Good Practice" scheme. We have been appointed as a training practice for therapist students and for newly qualified dentists, known as ‘‘foundation dentists" which is allocated to us each year. Find out more and contact us for a consultation today on 0126 852 0555. We are looking forward to seeing you soon!